To quote a powerful man of God, Kenneth E. Hagin, the church as a whole has majored on the minors instead of majoring on the majors. Simply put, we have focused a lot of time and attention on teaching and preaching about things that are really minor issues instead of focusing on what is really important for the believer. One such area is in developing our spirit man. Man has mastered the development of the physical body, and the intellect, but man has done very little in developing the spirit man, which is who we really are. We are a spirit, we don’t have a spirit, we have a soul, and we live in a body. The more we as believers in Christ can develop our spirit man, the easier it will become to hear from God all that He desires to reveal to us. This is seen very clearly in scripture as Paul in writing to the Corinthian church states in 1 Corinthians 2:12 that the Holy Spirit is the one who will reveal to us what we have been freely given by God. In Acts 1:2 we find out that Jesus gives commands to us the body of Christ through the Holy Spirit. In Romans 8:16 Paul tells us that the Holy Spirit bears witness with our spirit, not our soul, nor our bodies. If we want to walk in what God has provided for us, and if we want to receive the direction Christ has for our life, it will come through our spirit by the Holy Spirit. This is why it is so important to develop our spirit man. The development of our spirit will help us to be aware of who we really are and help us to clearly know and follow the direction of the Holy Spirit. This is how we are going to become mature as a believer. A mature believer is one who is governed by their spirit man, not their soul, and not their bodies. We are a three part being and each part has a voice. The voice of our body is what we feel in our bodies. The voice of our minds is reasoning. The voice of our spirit is our conscience. The more we can become aware of and develop our spirit man we will begin to clearly hear the voice of our spirit, our conscience. One of the most important keys to developing our spirit man is to become spirit conscious. As you will see we tend to be more soul or body conscience then we are spirit conscience. In Ephesians 4 beginning in verse 17 Paul begins to talk about not living like those who don’t know God. Those who are not born again walk devoid of the truths of God for they are spiritually discerned. Most believers don’t realize that even though they may know scripture they are primarily filled with head knowledge, not revelation in their hearts of the Word of God. Knowing scripture is good, but not if that never becomes revelation to your heart. Knowledge by itself puffs up. One way you know someone is just walking in head knowledge of the Word and not heart revelation is revealed when they hear someone preach on scripture they have already heard and they don’t really pay attention to what is preached for they will say they already know all about that scripture. But revelation of the Word will never get boring, hearing the same truths again and again. A key to finding out if you are more spirit conscience than soul or body conscience is revealed by what we are referring to when speaking of ourselves in the first person. Are we referring to our soul, body, or our spirit man? When you read the epistles you will see time and again the disciples when referring to themselves in the first person are referring to their spirit man, who they are, not their soul or body. Here is a great example in Galatians chapter two. Take a look at every reference Paul gives in using the term “I” and notice what he is referring to. When he states, “I have been crucified with Christ”, he is not referring to his soul or body, but his old spirit man. He goes on to say, “it is no longer I who live”, again referring to the old spirit man that died when he got born again. Notice he then states, “the life I now live in the flesh I live by faith in the Son of God”. The “I” again is referring to his spirit man, which is now the new man within. He even distinguishes the difference between “I” and the body he lived in by calling that his “flesh”. You see Paul had developed his spirit man to be the dominant part of his three-part being. This is how Paul could go through the type of persecution he went through and call it “light afflictions”, because Paul was more spirit conscious then soul or body conscious. For example the Bible tells us in 1 Peter 2:24 that by the stripes of Jesus we were healed. Our fallen spirit man once regenerated and then made new became perfect as Hebrews states. We have been recreated in the image and likeness of God. We are one spirit with the Lord. Think about that for a minute. Jesus has no sickness or disease and you are one spirit with Him. You can declare yourself healed because you are a spirit and your spirit has no sickness or disease in it. The body you live in came from the dust of the ground and Adam was given authority over all the earth. He did relinquish that authority to satan, but Jesus got that authority back, and you are one spirit with the Lord. When sickness or disease comes upon your body you are actually not sick. You are a spirit, you have a soul, and you live in a body. The body you live in has been attacked with sickness or disease. Because of the authority Christ gave you through the cross you can exercise that authority over your body and over that disease and command it to change. The same anointing (presence of God) which raised Jesus from the dead dwells in you, and scripture says if that is so then that same Spirit will give life to your mortal body. The same healing power Jesus healed with is in your spirit man now for the Holy Spirit dwells in the heart of every believer. Healing that is needed in your body can come right out of your spirit into your body, but the soul, which is the go-between, must believe that healing power is in you now and can heal your body. When someone says their sick and they are born again the truth is according to scripture they are not sick. If they were then that would mean there is sickness in their spirit man. Remember you are a spirit not a body. Dr. Hilton Sutton who was one of my spiritual fathers had his body attacked by cancer. He stood in my pulpit when this attack had come and declared that Hilton Sutton did not have cancer. He declared that Hilton Sutton’s body had been attacked by cancer, and that because he knew he had authority over the cancer and over his body that cancer would not stay in his body. One year later he stood in that pulpit of ours again and testified that Hilton Sutton’s body was now cancer free. When someone who is born again says they are depressed or worried or fearful are they really? What are they actually referring too? The soul, which is made up of our mind, will, and emotions is where such things exist. We have been given a spirit of power, love, and of a sound mind. We have not been given a spirit of fear. There is no fear in your spirit man. Yet when believers say they are fearful or depressed, etc. they are being more soul conscious then they are spirit conscious. Think about how many decisions are made based on anger, fear, frustration, hurt, resentment, etc, which all come from the soul, not your spirit man. How different would our lives be if we were making choices based on our spirit man and not our soul? For example the love of God, which was shed abroad in our hearts when born again, is the very first fruit of the human spirit. That love is an unconditional love that will treat others the way they want to be treated no matter how others treat them. One reason it is difficult for some to walk in the love of God is because they are more soul or body conscious then they are spirit conscious. When we are spirit conscious and dominated by our spirit man that love will become far more active in our life. So how do we become more spirit conscious? Our foundation text is the answer to this question. We must become renewed in the spirit of our mind or in other words our minds must be renewed to the fact that we are a spirit being, not a soul, and not a body. The way we get our minds renewed to this truth is through scripture in the epistles like this one above in 2 Corinthians 5:17 that reveal the true new you. If anyone is in Christ they are a new creation. That is referring to the spirit man being made new. The term for new creation here means something that never existed before, the old is gone the new has come. You must take scripture that refer to who you are as a spirit being in Christ and meditate on those verses. As you do you will then become more and more spirit conscious. If you do this you will be amazed at how things in scripture will become more real to you. You will begin to see not only yourself differently but you will begin to see others differently as well. You will also begin to notice that when you refer to yourself in the first person you will be talking about your spirit, not your soul, nor your body. 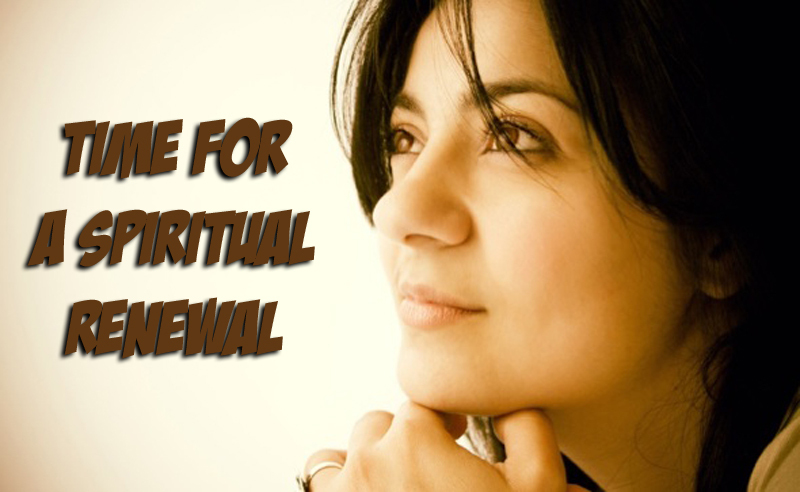 Time for a spiritual renewal! 1 Cor. 11:26 For as often as you eat this bread and drink this cup, you proclaim the Lord’s death till He comes. One of the most powerful elements we have in Christianity is communion and yet it is one of the most misunderstood aspects of what should be a very meaningful and impactful part of our lives. Throughout the years of church history it has predominately become nothing more than a religious exercise for most. I know for others I have read testimonies of it has become a time for some that they did not look forward too. They were taught it was a time they were to look at themselves in the natural, but in fact Paul clearly paints a different picture about communion. Let’s first take a look at a couple of things to make note of before we dig into the scriptures learning about this very powerful part of our Christian faith. First the word communion itself means to be one with, to be in partnership. Through what Christ has done for us we are one spirit with the Lord, and we are now partners with Him as joint heirs. The other thing to note about communion is that any believer can take communion anytime they want, and in fact it should be done by believers in their homes on a more regular basis. The early disciples received communion together at the start of their meal. This is not something that has to be done with a minister present, for we are all partakers of what Christ has done for us. With that being said let’s look at what Paul learned from the Lord about communion. Let’s begin with the two key elements of communion and what they represent. First the bread, which Jesus clearly tells us is His body broken for us. It is in this statement that Jesus was recognizing the sacrifice He would make for us, just as they were to offer the sacrifice of the Paschal Lamb during Passover. He was identifying with this sacrifice given for us. As Jesus broke the bread at the last supper He also did this signifying that He like receiving bread for food should be partaken of. Jesus tells us in Matthew 4:4 that man does not live by bread alone, but by every Word that proceeds from the mouth of God. Jesus is defined in John’s gospel as the Word. One of the keys to receiving communion is that we acknowledge by our faith in Him that He has made the ultimate sacrifice for all man-kind, and now for us to become partakers of what He has provided we must feed on the Word, especially what scripture reveals we now are and what we already have in Him. We will talk more about this in a minute but notice that at the end of this statement in receiving the bread Jesus said that we are to do this in remembrance of Him. It does not say anything about us remembering what we have or haven’t done. The next element is the cup, which Jesus clearly tells us this is the new covenant in His blood. Without the shedding of blood there could be no forgiveness of sin. During the Passover the children of Israel were to place blood over the doorposts of their homes so that death would pass over them. When anyone receives Jesus as the Lord of their life they are in fact receiving the blood He shed placed over the doorpost of their heart in which they receive new life and death now passes over them. There are six different distinct times Jesus shed blood and each time has significance in our life. I shared about this last week in “Why He Came”. When we receive the cup we are acknowledging not only the blood He shed for us, but also the covenant we now have with God. Once again in the statement about us receiving the cup we are told to do this in remembrance of Him. People tend to forget this as they read on in Corinthians about the other statements Paul makes about communion, but it is very clearly seen the focus in communion is not on our past failures or sins, but on Christ alone and what He has accomplished for us. When you understand this then the rest of what Paul said becomes quit clear. Next we have Paul telling us as we have seen as our foundation verse this week that as often as we eat this bread and drink this cup we are proclaiming the Lord’s death till He comes. First of all notice he said as often as you do this. This is a reference to the fact that you can do this as a family, with church family, by yourself, or in a church service, and we should do all the above. Next he states that when we do receive these elements we are making a proclamation. This word means to speak, pronounce, or declare. Faith does not just believe, faith speaks. In proclaiming the Lord’s death we are proclaiming our current victory we have through the death of Christ, all that He has purchased for us. When He comes we will then see the fulfillment of all things and we will no longer need to make this declaration over our lives. We do so now because we have victory in our lives through the covenant He has provided for us to be more than conquerors in this life. Because of what Christ did for us we cannot only be born again, but we can walk in a victorious life right now. We have the right to what He died and paid for because His shed blood and His body given for us made us righteous. We have been given the gift of righteousness (right standing with God) so that we can reign in this life through Jesus Christ as Romans 5:17 tells us. Every time we declare the Lord’s death we are declaring the victory He has given to us through life, the Zoe’ or god-kind of life. 1 Cor. 11:27 Therefore whoever eats this bread or drinks this cup of the Lord in an unworthy manner will be guilty of the body and blood of the Lord. 1 Cor. 11:28 But let a man examine himself, and so let him eat of the bread and drink of the cup. 1 Cor. 11:29 For he who eats and drinks in an unworthy manner eats and drinks judgment to himself, not discerning the Lord’s body. 1 Cor. 11:30 For this reason many are weak and sick among you, and many sleep. 1 Cor. 11:31 For if we would judge ourselves, we would not be judged. As we continue here don’t forget that Jesus emphasized we do this in remembrance of Him. We are told if we eat this bread or drink this cup of the Lord in an unworthy manner, we will not benefit from communion and will in fact live a life that is still being effected by the results of the fall of man, for Paul states in verse 30 that many are weak, and sick, and even die early because of this fact. How do we not partake in an unworthy manner? There are two key things to consider here. The first thing to consider is the problem that was happening in the Corinthian church where communion no longer had a sacred meaning. They were not waiting for one another to receive communion together as they had been doing when they would come together, instead because they were hungry and wanted to get to the meal they would receive communion without remembering Christ and what He had done for them. Secondly notice it states in verse 28 we are to examine ourselves, and in the next verse we are told to receive this in an unworthy manner means we are not properly discerning the Lord’s body when it is received. We are the body of Christ. If we receive communion in “Remembrance of Him”, we remind ourselves of who we now are in Christ. He is the head and we are the body. We are the body because of the righteousness of Christ we have now been given. To judge ourselves means to properly discern who we now are and what we now have a right to as a child of God, because of the sacrifice that Christ made for us. We must do so through understanding of the Word of God. Remember as I mentioned earlier Jesus said man does not live by bread alone, but by every Word of God. If you want to experience the life God has for you, then you must feed on His Word and recognize what His Word says about you. You must acknowledge His Word above your circumstances in life and put your faith in what He said, not what you see. As verse 31 states if we judge (discern) ourselves we would not then be judged with the world. Those in the world who do not know Christ are still under the condemnation of the fall. Jesus Himself said those who are in the world are already condemned, but once you are saved you are no longer condemned with the world. You are now a child of God who has not only been made brand new; you now have rights as one of His children. You have the right to everything promised to you through what Christ has done for you. 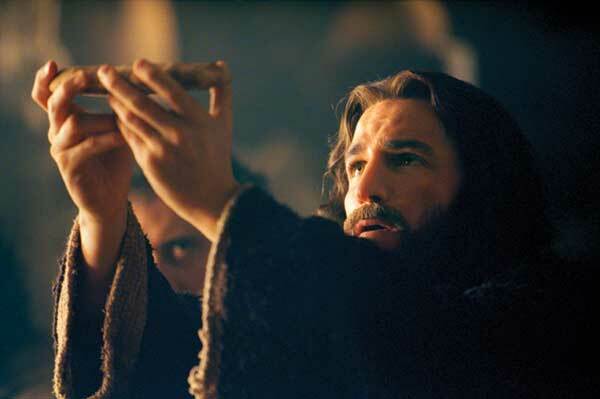 So when you receive communion remember it is about being reminded of what Jesus did, and who you now are in Him. When you begin to see yourself as the body of Christ, you begin to see yourself strong in the Lord, healed, and living out a full life here on earth. There is great power in communion for the believer who understands and receives it the way Christ intended. Luke 19:35 Then they brought him to Jesus. And they threw their own clothes on the colt, and they set Jesus on him. Luke 19:36 And as He went, many spread their clothes on the road. There is no doubt that the most important event in history was when Christ was raised from the dead. The resurrection of Jesus Christ was the proof that He was the Son of God and that man could be redeemed. Without the resurrection you would have another powerless religion, but because of the resurrection of Christ you have a powerful Savior who opened the door for man to be reunited with the Father. During this resurrection week I want to share three key parts of the life of Christ that reveal why He came. Psa. 24:9 Lift up your heads, O you gates! Lift up, you everlasting doors! And the King of glory shall come in. As Jesus rode into Jerusalem descending from the Mount of Olives, the people spread their clothes and palm branches on the ground in honor of His triumphant entry into the city. This was done in the days of Jesus in recognizing the entrance of a king. The King of glory had come in preparation for what would become His death and then resurrection. Here in Psalms 24:9 we have a reference to the King of glory who has come to enter in through the doorway of every heart of man who will welcome Him in. For every heart that willingly receives Him, Jesus will come to reign within our hearts, bringing into our lives the ability to rule and reign with Him as kings and priests. What He needs to do so is a heart that has godly sorrow. One who has godly sorrow will repent for their sin. They will have the desire to turn from their old sinful nature and receive the Lordship of Christ to come and reign in their lives. As they do the King of glory then resides within their hearts. Those who have received this King into their lives must remember He has come not just to give us a way to heaven, but also to now reign in and through our lives. Allowing Christ to reign will change the way we live our life. When we are born again we are to now place Jesus on the throne of our life. We are to yield our lives, spirit, soul, and body, completely to Him. By acknowledging His rule as the King of our life we will see our lives transformed. This takes place in our lives once born again by daily recognizing who we now are in Christ, and by choosing His ways over ours. Jesus referred to this when He said that if we want to follow Him we must deny self, take up our cross, and follow Him. To deny self is to deny the old fleshly nature and it’s desires. Taking up our cross means we now walk in God’s will for our life, which is found in the scriptures. Doing so we will follow our King. 1 Pet. 1:18 For you know that God paid a ransom to save you from the empty life you inherited from your ancestors. And the ransom he paid was not mere gold or silver. 1 Pet. 1:19 He paid for you with the precious lifeblood of Christ, the sinless, spotless Lamb of God. As the King of glory had come to enter the hearts of man, He then paid the most valuable price ever for our life by shedding His blood. To be redeemed means to be ransomed, purchased from the slavery that held us bound to the freedom we now have in Christ Jesus. Every drop of blood Jesus shed was a payment to free us from a part of the empty life we had previously inherited through the fall of man. There are six different times Jesus shed His blood, none without significance. The first place Jesus shed His blood was in the garden of Gethsemane. In Luke’s account we find that He was in great agony as He was dealing with separation for the first time ever from the presence of His Father. Jesus states in Luke 22:42, “Father, if it is Your will take this cup away from Me; nevertheless not My will, but Yours, be done.” Jesus won the battle for us over the human will. The second place Jesus shed blood was at the whipping post when the Roman soldiers scourged him. As Isaiah prophetically stated it would be by His stripes that our healing would be paid for. Jesus has paid the price for our bodily healing. The third place Jesus shed His blood was when the soldiers made a crown of thorns and pushed it down upon His head. Through His shed blood we now have what scripture calls the mind of Christ, victory over the carnal mind. Our minds can now be renewed to the Word of God. The fourth place Jesus shed His blood was when they nailed His hands to the cross. James tells us to cleanse our hands of sin. Through the blood of our Savior we can now walk free from the power of a sinful lifestyle, no longer bound by sin. The fifth place He shed His blood was when they nailed His feet to the cross. Once born again we are now to walk by faith not by sight, believing in the redeeming work of our Savior, walking in this new lifestyle of faith. The six place Jesus shed His blood was on the cross when they pierced His side with a spear in which blood and water flowed out. As Isaiah also prophesied that He would be pierced for our transgressions, man’s sin would no longer be covered, but washed away. Man would now be able to receive a new heart and become a new creation within. The blood of Jesus shed for us is the proof of how much God love us. When you look at what determines the value of something there are two primary factors. One factor being how rare something is, and the other is based on what someone is willing to give to purchase what they want to buy. When you look at humanity we are all rare for God only made one of you. When you look at the price God was willing to pay to redeem your life there is no higher price that has ever been paid then the blood of Jesus shed for you. Don’t ever allow the enemy to make you think you are not valuable to God. You are very valuable to Him. Eph. 1:19 You will also know the unlimited greatness of his power as it works with might and strength for us, the believers. Eph. 1:20 He worked with that same power in Christ when he brought him back to life and gave him the highest position in heaven. Eph. 1:21 He is far above all rulers, authorities, powers, lords, and all other names that can be named, not only in this present world but also in the world to come. The apostle Paul in writing to the Philippians spoke of his desire to know Christ, and the power of His resurrection. That power was what raised Jesus out of hell itself, and made Him victorious over all the powers of darkness. Through this resurrection power Jesus stripped satan of the authority he had taken from the fall of Adam and Eve in the garden. He no longer has this authority. The very authority that God had originally given to man that was lost in the fall Jesus recovered and has now given that authority back to every born again believer. This was all accomplished because of His resurrection. Notice it states here in verse 21 that Jesus is far above all rulers, authorities, powers, lords, and all other names that can be named. This refers to the different demonic powers that had ruled over man here on earth. Some might say well that is true Jesus has been raised above all such powers of darkness, but that does not mean we have. But in fact we too were raised up with Christ at the same time He was raised up by this resurrection power. In Ephesians 2:5-6 Paul states that we were made alive together with Christ, raised up together with Christ, and then seated together with Him in heavenly places. The resurrection power of Christ in the life of the believer has raised you up to sit down with Him. Taking your rightful place seated next to Christ is done when you rest in the work of His life, death, burial, resurrection, and ascension. When you by faith take your place with Him, you will experience the power of His resurrection in your life, giving you victory over all the power of the enemy. James 3:10 Out of the same mouth proceed blessing and cursing. My brethren, these things ought not to be so. Words, they are powerful containers. God used words to create the earth in which we live. Words have defined some of the most important events in history. Words have destroyed and words have restored. The Bible has much to say about our words. If you had to name one thing that has the most impact on a person’s life when you look to what scripture says you would have to recognize that words are without a doubt one of if not the most important factor in our life. What many don’t realize is that their own words are often doing more harm to their life then good. The reason is because through our fallen nature we have been accustomed to speaking words that bring defeat instead of victory. James states that for some out of their mouth proceed blessing and cursing, and this for the believer should not be so. Once we are born again we should begin to change how we speak. Realize that what we are saying on a regular basis will in fact according to scripture have an impact on your life. If you want to see your faith in what Christ has done for you work, you must not only walk by faith, but you must then stop saying things that circumvent your faith. When you begin to walk by faith and not by sight, God’s ability goes to work in and through your life, but you can stop your faith through a wrong confession. I know there are those who don’t think your confession is very important, but the Bible does tell us otherwise. Prov. 18:21 Death and life are in the power of the tongue, and they who indulge in it shall eat the fruit of it [for death or life]. In light of a verse such as this one I don’t see how people can make light of words. Death and life are in the power of the tongue. If you consistently speak words of death in your marriage, words that are destructive and harmful, you will bring death to your marriage. I have seen it happen all to often. If you speak words of death to your body, your body will respond. Even doctors are beginning to find out that this is true. Notice here it states that those who indulge in words, whether death or life, they will eat the fruit of their words. So if you want to experience the life of God, the blessing of the Lord, His goodness in your life, you should be speaking words of life. Do you desire to be blessed or cursed? I am sure the answer is blessed, but for that to happen you are going to have to watch what you say. Words are carriers, just as a seed is a carrier. Every seed has within it the ability to produce the fruit of whatever it carries. If you have an apple seed it has the ability to produce and apple tree, and of course eventually apples. If you have watermelon seeds they carry within them the ability to produce watermelons. So it is with thorns, weeds, and things that are not good. They begin as a seed. Whatever is within that seed is what it will produce. Your words are seeds, carriers, and whatever you speak is what those words carry forth to produce. So what you consistently plant with your words is the type of fruit you will produce. If you want apples you don’t want to plant thorn seeds. If you desire God’s blessing in life, which is defined as being happy, fortunate, to be envied, then you are going to have to speak words of life consistently and stop cursing your life with words of death. James 3:3 Indeed, we put bits in horses’ mouths that they may obey us, and we turn their whole body. James 3:4 Look also at ships: although they are so large and are driven by fierce winds, they are turned by a very small rudder wherever the pilot desires. James 3:7 For every kind of beast and bird, of reptile and creature of the sea, is tamed and has been tamed by mankind. James 3:9 With it we bless our God and Father, and with it we curse men, who have been made in the similitude of God. 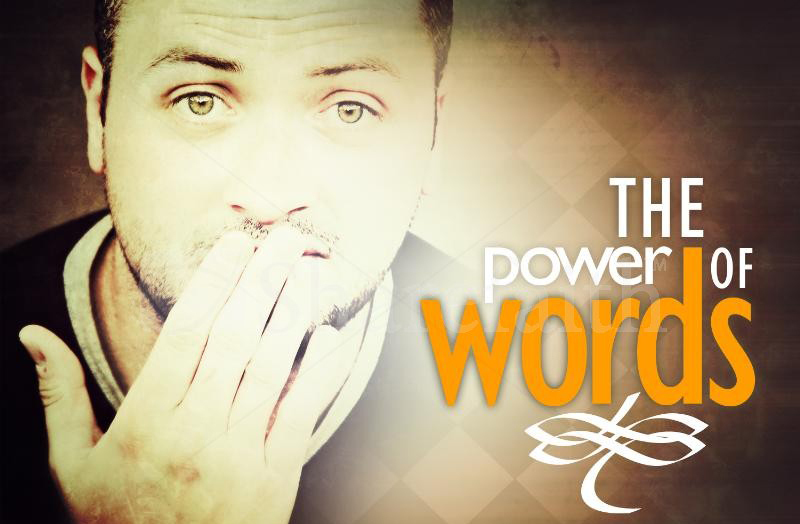 James here in the first part of chapter three describes in more detail the power of the tongue in our life. He starts off by stating that we stumble in many things, but if anyone does not stumble in their words, they are perfect, which means mature and able to bridle the whole body. The word stumble means to error, make a mistake, or sin. When we say things with our mouth that line up with death instead of life we are speaking against God’s Word. When we do we are speaking words that are leading us into error, or sin. But if we stop speaking contrary to the Word of God we are able to bridle the body, which is not saved, and bring it under the control of our tongue. He goes on to use the analogy of a horse that is controlled by a little bit in that horses mouth. James also shares the example of a ship, which in size compared to the rudder is very large, and yet it is that little rudder that determines where that ship will wind up. Think about that. Your tongue is like that rudder or the bit, which is going to determine the direction your life takes. He goes on to tell us the tongue is also like a fire, which once lit it sets on fire the course our life will go. Notice James states that the tongue is an unruly evil, full of deadly poison. With the tongue we may bless our God, but with that same tongue we bless God with we can curse man, including ourselves. So what do we do to deal with our words and stop from cursing our life? First of all recognize that James also states here in verses 7-8 that man has been able to tame many different types of wild animals, but no man can tame the tongue. The word for tame means to control or restrain. So it almost sounds like a lost cause, but it is not. What James is saying here is that you cannot just go through life and not address the issue of your tongue. You must pay attention to your words and how to change those words. If you do nothing to address what comes out of your mouth it will bring forth words that are in fact harmful to your life and to others. This is because when you were born again the only thing that changed initially was your spirit man, the real you. Your soul, made up of your mind, will, and emotions did not change. Nor did you body, so you have to do something more than just get born again to change the course of your life and to start seeing the blessing of God manifest instead of the curse that is in the world. Luke 6:44 For every tree is known by its own fruit. For men do not gather figs from thorns, nor do they gather grapes from a bramble bush. Here we have the most important key to changing our words from death to life. Notice Jesus is referring to fruit here and He says that every tree is going to be known by its fruit. If there is bad fruit planted, then bad fruit is going to come forth, but if good fruit is planted then of course it will bring forth good fruit. Then in verse 45 He tells us that out of a good man from the good treasure of his heart he will bring forth good fruit, but an evil man will bring forth evil fruit. Notice He then states out of the abundance of one’s heart the mouth speaks. The word for heart here is referring to the seat of your will, mind, and emotions, which is your soul. Don’t get confused here for your soul is not the part of you that is born again, that is your spirit. What makes the soul full of good or evil? What we put in our soul. In James 1:21 we find out that our soul is not saved, for it is through the Word of God being implanted in our souls that our soul gets delivered from evil thoughts, words, and therefore evil ways. Evil refers here simply to that which is contrary to what God says about us. So back to what Jesus said in Luke 6:45, whatever you are putting into your soul in abundance, that is what comes out of your mouth. If you feed on things daily that fill your soul, your thinking with words that are in line with death, that is what will come out of your mouth. If you for example watch things filled with words that are contrary to God’s truth and ways, if you listen too or read things that are filling your thoughts with words filled with death, not the word of life, this will come out of your mouth. You must pay attention to what you are reading, listening too, and who is speaking into your life. So if you want to stop cursing your life you must change your words. To change your words you must pay attention to what influences your thought life. Are the things you are listening to and being influenced by bringing a greater awareness to God’s Word and what He says about you, or are they bringing an awareness of what is a part of the curse in the earth? Change what you listen to, read about, and what is influencing you, and your words will begin to change. As they do life comes forth not death. 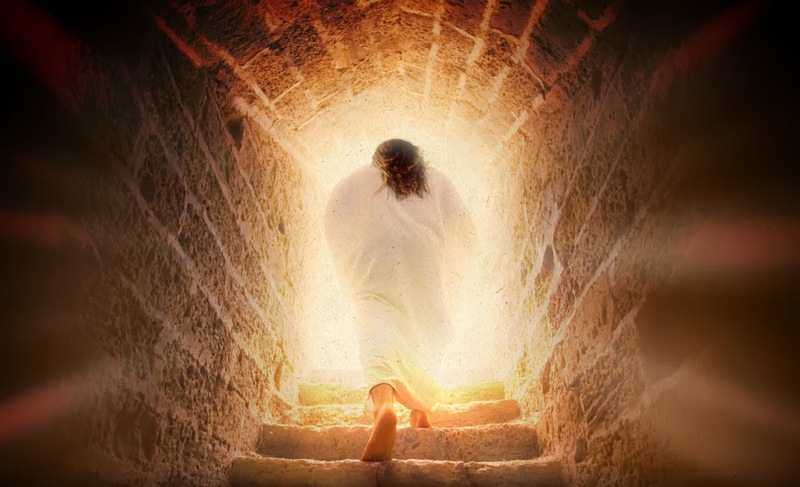 As Easter is about to be upon us one of the things that is absolutely powerful about the resurrection of Christ is that Jesus being raised from the dead was proof that everything God has ever promised man, He desires to fulfill. We serve a God who is faithful to His promises, but those promises don’t just happen in the life of a believer. We see this fact as we look to Hebrews verse 12 above. We obtain those promises through faith and patience. If we walk in Bible faith and we do so with consistency, we have God’s Word that we will inherit what He has promised us. All throughout the New Testament we have promises given to us by God based on what Christ has done for us. As you go through life you are going to face problems, which are a result of both things we should not do but did so anyway, or do to the fall of man we now of course also live in a fallen world. That fallen world creates problems of it’s own, but as a child of God there is never a problem you will face that we cannot find a promise of God to deal with the problems. What we must learn to do to partake of the promises God has for us as we have stated is walk in faith and patience. I want to address the issue of patience for a minute and then I will give you three key things, that if you will apply them to your life you can see any promise God has given you come to pass. One of the best definitions given for the word patience here is constancy, which simply means be consistent. One of the most powerful statements I have ever heard along this line is something Gloria Copeland said years ago. The Lord spoke this to her heart one day, “In consistency lies the power.” That is exactly what Hebrews 6:12 is saying when referring to faith and patience. The biggest reason many never become a partaker of what they are believing for is because they are not consistent in faith. Faith is not something you do for a day or two and then go back to speaking and acting like you did for you believed. Faith is to be a lifestyle for the believer. The Lord revealed to me years ago a simple definition for faith. It is believing in what only God can do in and through your life. But one who is not consistent to do what scripture says is not going to inherit what is theirs in Christ. The reason is because God has already set up the laws that govern how His kingdom works and those laws do not change. Think about it this way, there are natural laws we recognize everyday and those natural laws do not change. If I have respect for the law of gravity I am not going to go up on top of a building and jump off thinking I won’t fall. If I have a reverential respect for that law I am not going to do something to oppose that law. If I respect it and recognize that law it can work for my good, but it is not going to change. So it is with the laws that govern God’s kingdom. They do not change. If we have a reverence for Him and His laws we are not going to try and do what scripture teaches, what His Word teaches us will become our lifestyle. I am laboring on this point for a reason because many Christians start out doing what the Bible says with good intentions, but they don’t remain consistent at it. We inherit what we have in Christ through faith and patience, not just an occasional faith. So with that in mind let me share with you three keys that will help you partake in God’s promises for your life. 1. Find the promise of God. When you are faced with a problem you must go to the Word of God and find the promise from His Word that reveals your victory over any problem. God’s Word is the very source of our faith and without His Word we are going to be lacking the belief in our heart as to what God says is already ours. Not only that but the real battle is not against your problem as God already has a solution, but the thoughts you will face and deal with in your mind that will try and convince you the problem is bigger than God’s promise. These thoughts will come from the enemy as fiery darts, they will come from outward influences within society, and from other people as well, even well meaning Christians who think they are helping you yet all the while speaking contrary to God’s Word. So without the promise of God’s Word to stand on you are starting without a foundation in which to build. The Word of God and God are one. Jesus is described as the Word that became flesh and dwelt among men. When you look to God’s Word it is not just a book of history, nor is it the thoughts of those who penned these words, it is God’s very own DNA in those scriptures. When you have a promise from God founded on the Word you have what you need to stand upon. 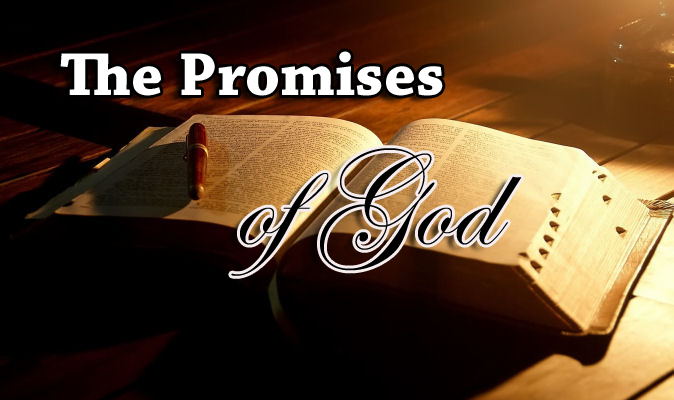 The primary place to find such promises is in the New Testament, which is our covenant with God. That does not mean we cannot find promises that still belong to us in the Old Testament as well, but we must dig for it as hidden treasure, which is what the Word has been described as. If we are not going to take the time to find a promise to counter the problem, we are not going to be consistent in faith. 2. Feed on the promise of God. In Matthew 4:4 Jesus makes a powerful statement that many miss the main point of what He was saying. This is when Jesus was being tempted in the wilderness by satan and He said, “Man shall not live by bread alone, but by every word that proceeds from the mouth of God.” The analogy He was giving is often overlooked. For the natural body of man to survive you must of course eat food. To eat food you must chew on that food before you can swallow that food. Our spiritual development works the same way. We must take the Word of God, which in reference to Christ is considered the bread of life, and we must feed on that Word to get the spiritual nutrients necessary for our spirit man to walk in faith. How do we feed on the Word? We meditate on it. There are several places in scripture that reveals the importance of meditating on the Word of God. One such reference is in Psalm 1:2-3, which states that one who meditates on God’s Word will be blessed. He shall be like a tree planted by the rivers of water, that brings forth fruit in it’s season. His leaf will not wither and whatever he does shall prosper. Remember we must be consistent in applying God’s kingdom principles to inherit the promises. If you want to walk in the promises and trample underfoot the problems of life you are going to have to feed on the promises of Gods’ Word day and night. Just as you feed your physical man every day to maintain strength, so must you do so with your spiritual man to remain spiritually strong. Many believers may know of God’s promises in the Word of God, but unfortunately not many feed on God’s Word every day. The word meditate means to speak over and over contemplating what you are saying. Proverbs 18:21 tells us that death and life are in the power of the tongue, and those who love to talk will reap the consequences. If we are consistently talking about the problem we are speaking in line with death and we will reap the consequences. But if we love speaking the Word, which Jesus Himself said His Words are spirit and they are life, then we will reap life. It is not enough to just find God’s promise to deal with a problem, nor is it enough to feed on that promise; you must forsake the problem by changing what you are saying. One of the keys to forsaking your problem is to stop saying it is yours. You may be faced with a problem but you need to claim the promise of God as yours, not the problem. Quit saying you have this or that when referring to what you are faced with. Faith does not deny a problem exists, but faith denies it’s right to stay. It is okay to say I am facing a problem but you need to finish that line saying that God’s promise is going to change the problem. Even on social media today Christians often find what they think are cute little sayings that directly refer to themselves as being like whatever they have posted and these statements are often contrary to what God says about you. If you are doing so you are allowing your thinking to accept that as yours. You won’t get rid of a problem unless you start forsaking it. If you feed all the stray cats in your neighborhood they are not going to go away, they are going to keep showing up on your porch. If you forsake them by not feeding them they will go away. You must forsake the problem by proclaiming the promise as yours if you want the problem to go away. So if you will consistently do these three things you will become a partaker of the promises of God for your life. Just remember in consistency lies the power!